Eyes and ears wide and mind open to the world around me. I’m always refreshed by the wonder and beauty in nature. Unique and telling about the place where I am and what’s surrounding me. The trail is truly a breath of fresh air. Stray stitches in between assignments that offer a few moments of meditation. Sunny colors to brighten the day. This hat is so pretty, don’t you think? 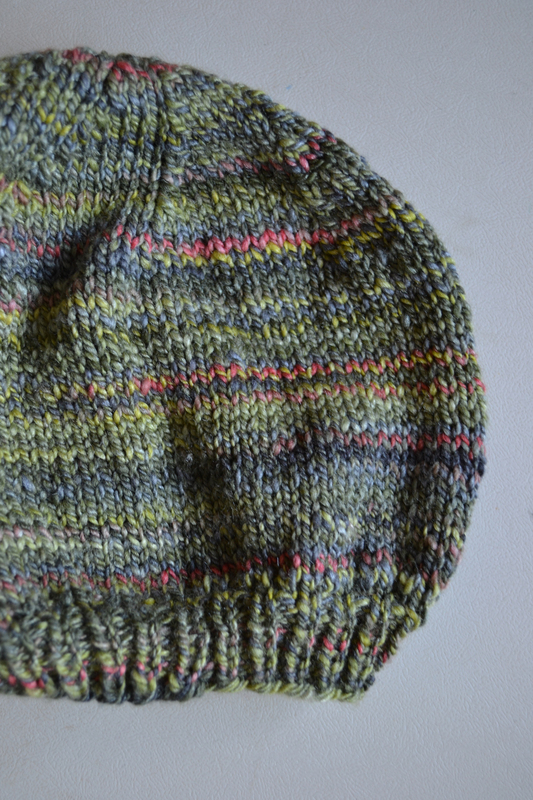 Just a quick Simple Beret in my own Three Waters Farm handspun. I’ll be popping it in the mail soon. This colorway, Painter’s Backdrop, is a personal favorite. My thought has always been to ply them together. I feel a little uneasy about it, but I think it’ll be very good. 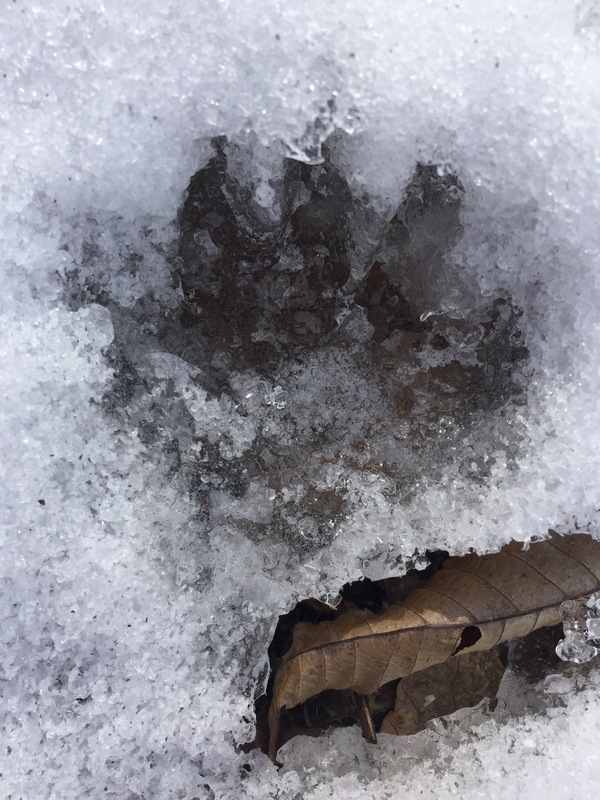 Did I mention here on the blog, that I also “found my fade” this week? I’ve been staring at a shelf of yarn in my living room literally since December of last year when the Find Your Fade shawl was published, waiting for the right combination of all handspun yarn to present itself. 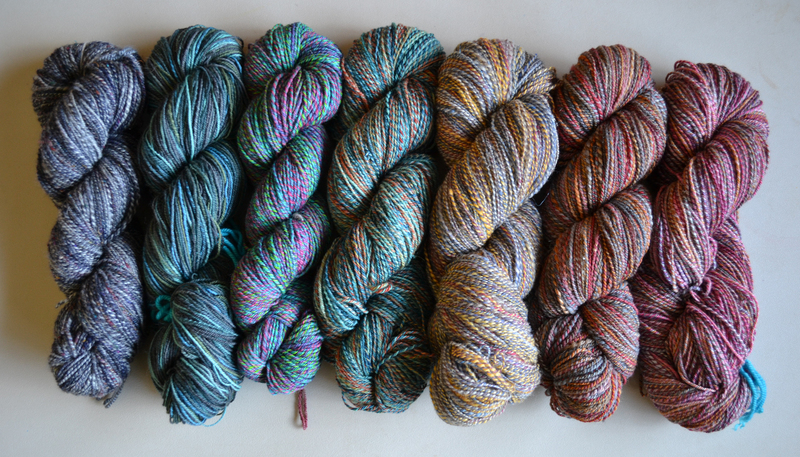 I was hellbent on creating a fully handspun version and equally convinced that I’d eventually just see it there on the shelf. I’ve got a couple quick hats to whip up with my Legacy Yarn Club yarns. Aren’t they just lovely?! 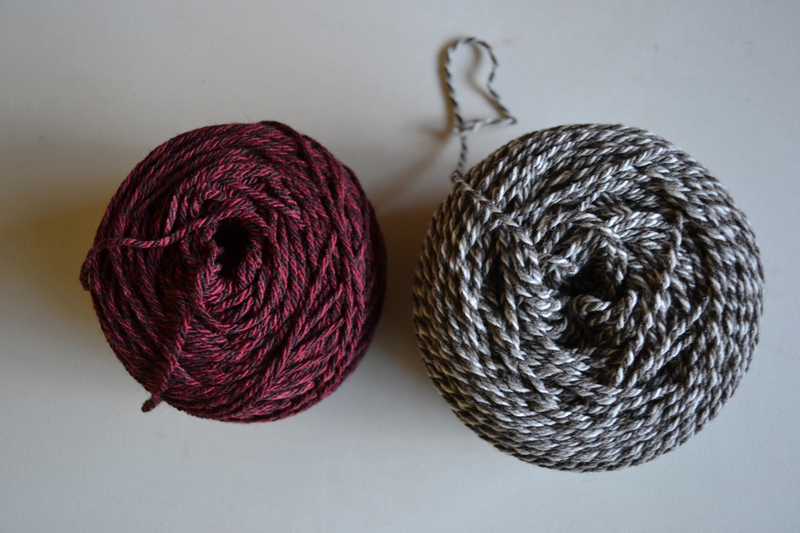 As a side note, check out the difference in these skeins — the one on the left I wound with my ball winder straight from the skein. The second I rewound once because I didn’t like how the yarn was pulling. Rewinding does make a difference! Clearly I’ve got my weekend crafting all set, definitely a little wonderful, refreshing me time to recharge the ‘ol batteries. How about you?! 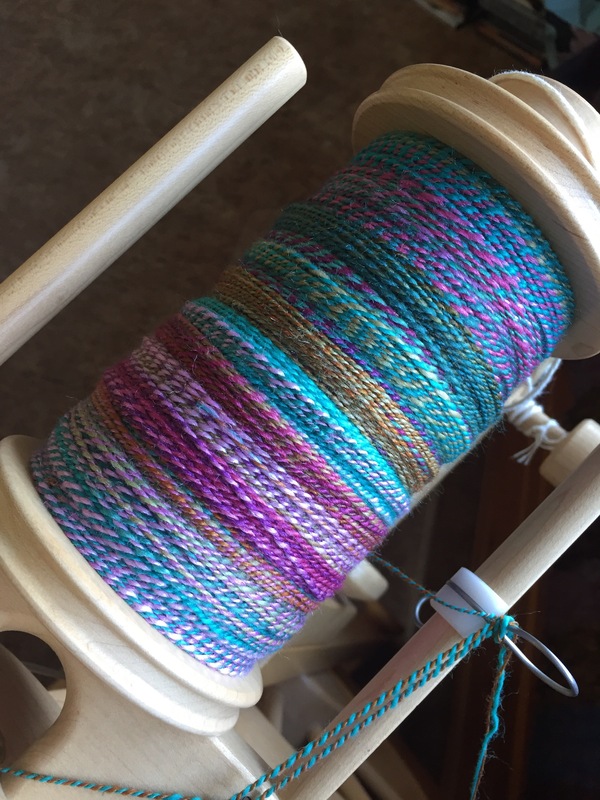 I’m definitely going to try the rewinding of my skeins. In the back of my mind (where many things reside) I think I did this and forgot–oh well. It definitely makes for a neater cake! I do it if I have time… I don’t always, but it always makes for an easier time when knitting! 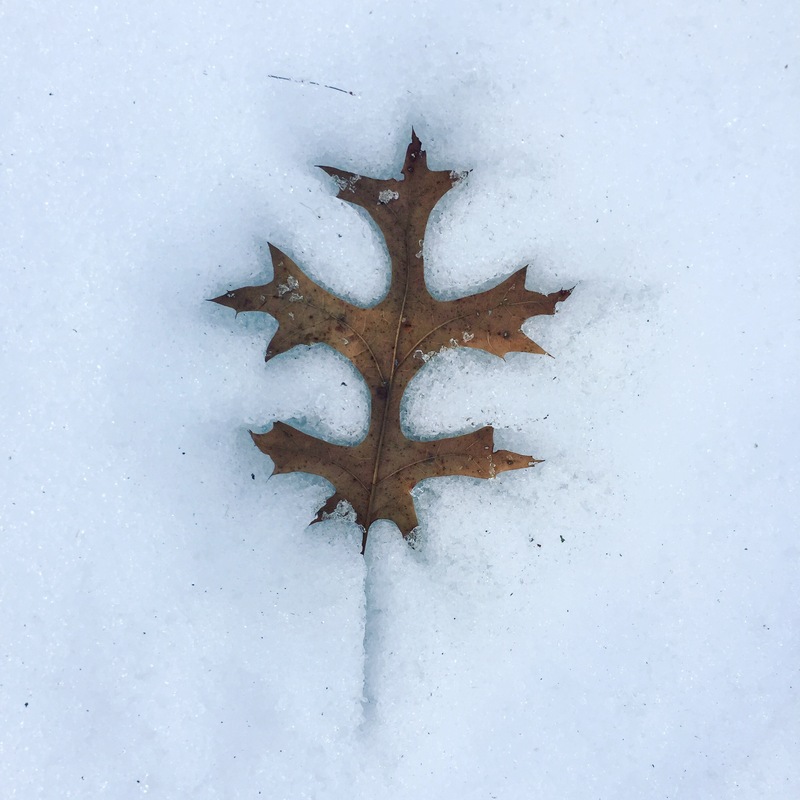 You know I’m not a cold weather gal, but your walk in the cool, crisp outside sure spoke to me – it looks so relaxing and serene. Kudos to you for taking time for yourself. As a person who’s work is predominantly inside, it’s way too easy to succumb to everyone else’s schedules! I am always so impressed with your spinning skills! 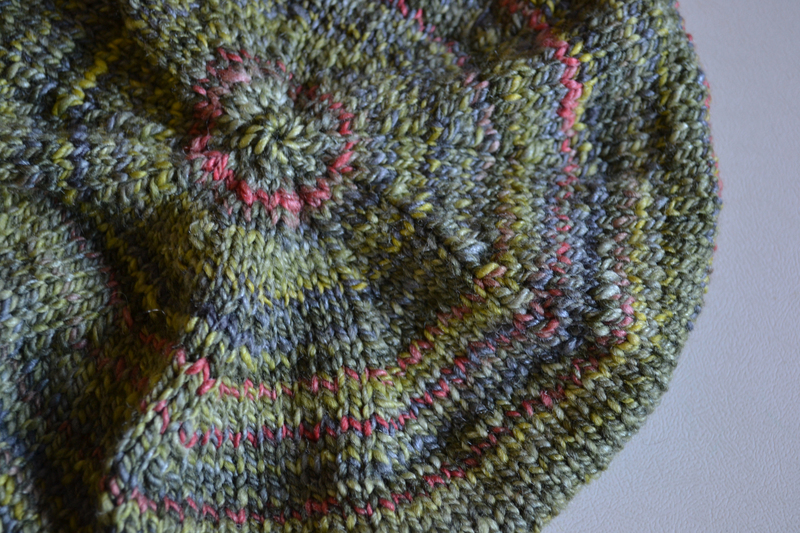 The colorway in the hat is just so lovely! AND I see a peek at a red sock! 😁 OH, and the colors you’ve chosen for Find Your Fade are just AHHHHHHH! I really want to make that pattern – it’s calling my name. At a bare minimum, I do a 30minute walk with the dog every day (unless I’m having walking issues). 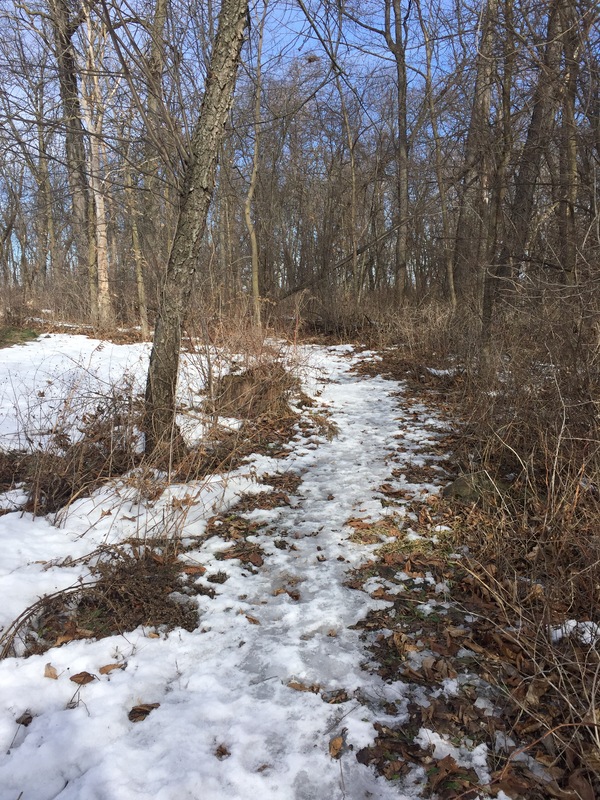 When the days get a little longer or the hubby has a day off, we try to hit a trail. We joke a lot that I’m the one who really needs to be walked, not the dog — lol! It’s really just a time to reflect on the day and clear the cobwebs from my mind. So important! I’m so glad you enjoy seeing the spinning — it’s really come along in the past year especially. And I hear you on the Find Your Fade. I thought a few times about just buying a palette because there are some really pretty ones out there (if you haven’t looked at the kits Wool & Honey — a shop in Michigan — has put together, you should (especially if you want to part with some $)), but I really had the feeling that I had the palette for me right in front of me. It took a couple months, but I found it! Well, you know by now that I have a pretty good sized stash. I’m sure I can shop in my own house and find a great assortment for this! I just need to move it up in the queue!!! The other thing that needs more priority at my house is taking time for walks!!! I caught a head cold so not even Knitting sounds good. I’m hoping some toddler snuggles and kisses make me better this weekend! Ooof! I was in your shoes last weekend. I actually spent most of last Sunday on the couch dozing (which never happens). I bounced back quickly though — I hope you do, too! Lots of a rest and a walk in the fresh air every day helped me! I can’t wait to see you start on your Find Your Fade, the colors you have chosen are beautiful. I have loved every minute of working on my Fade and I’m sure you will too. Yours is gorgeous, Deb! I’m so excited for mine that I’m totally using it to force myself to finish a few other things first. It’s the carrot I’m dangling in front of myself! Hoping to wind the yarn this week though! I’m so glad you are able to get some time to recharge your batteries. 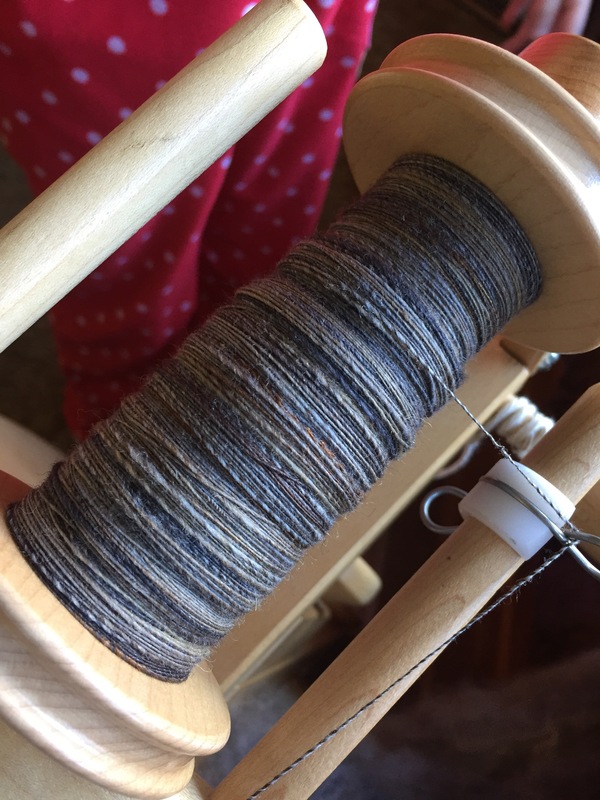 A walk outside is a great way to do it but I like spinning and knitting even better. 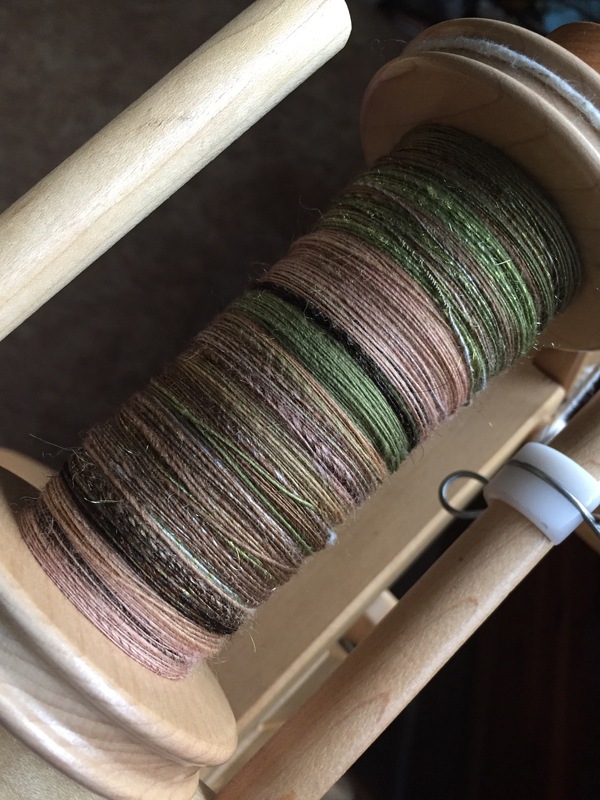 😉 Your projects all look great, and that handspun for find your fade – wow! It’s going to be beautiful! So much pretty yarn! 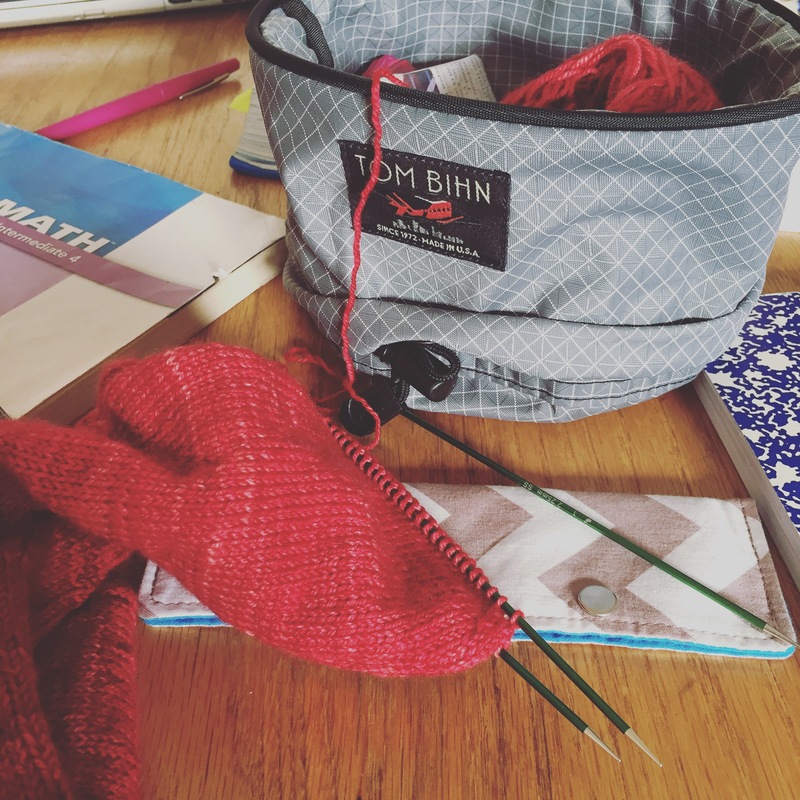 This weekend has been about addressing my to-do list more than knitting but if I can stay focused and get the kitchen cleaned up, I think I’ll finally be able to fit in some time for knitting and regrouping! I know that feeling! I hope you found the time!